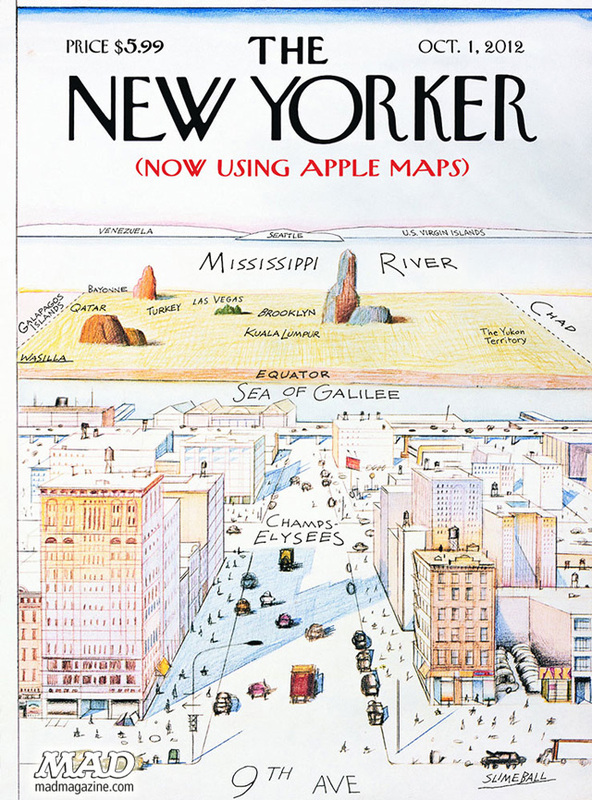 MAD Magazine created this parody New Yorker cover, saying they used the recently released (and problematic) Apple Maps to create it. 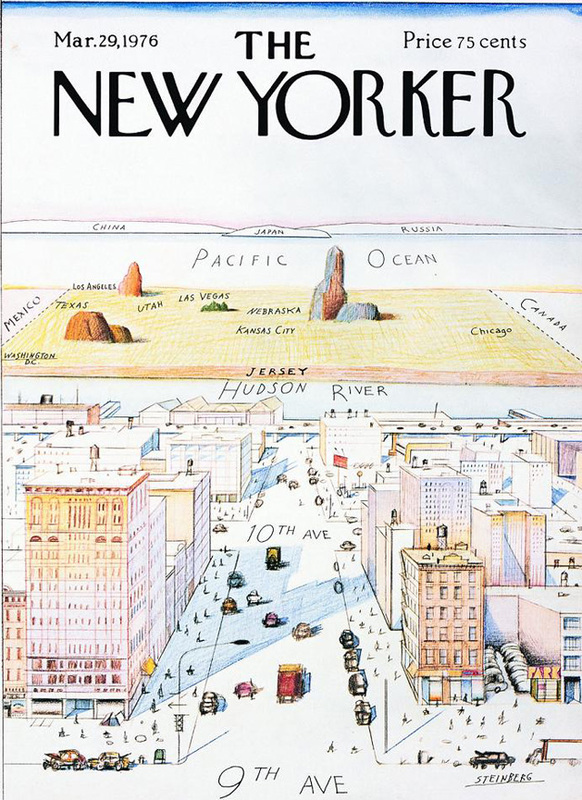 It’s based on Saul Steinberg’s art titled ‘View of the World from 9th Avenue’ which appeared as cover art for the March 29, 1976 issue of the The New Yorker. Apple’s new iOS 6 launched last week with much fanfare. But there are some bugs still to be worked out with Apple Maps, according to which Lexington Avenue is in New Jersey, the Washington Monument has moved across the street and the Brooklyn Bridge is half under the East River. With over a half billion searches in the first few days, the new operating system is creating some unexpected problems.